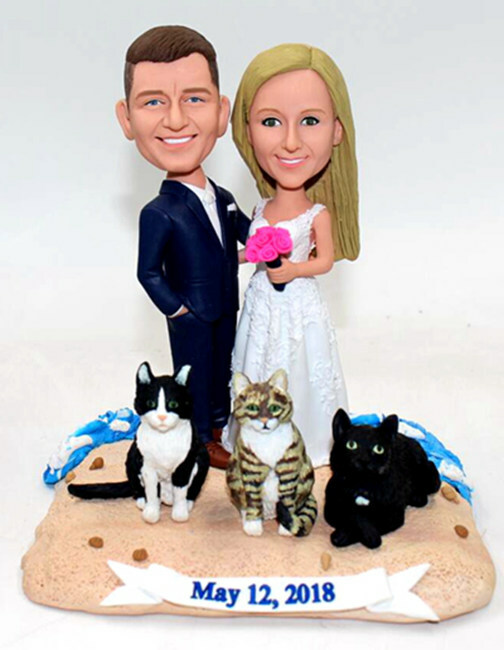 My bobblehead cake topper arrived safe and soud yesterday. Absolutely in love with how this came out! Very detailed and awesome work! Christina is very accommodating and great to work with. She sent you a proof picture before she bake it in the oven and she was so flexible with everything I wanted!! Thank you so much. Can't wait to display this at my wedding as a special touch! ..